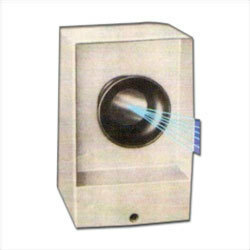 Our Rat Repeller is used in stores, canteens and offices to provide protection against various pests and rats. These repellers are energy efficient, durable and cost effective. They produce muffled ultrasonic sound that is painful for pests and rats. This is how these rat repellers work and they do not kill them, but keeps them away. It can also be used in bedrooms, kitchens and office records rooms. These repellers have a coverage area of up to 300 square feet. We are offering Lizards and Rat Repeller which is used in canteens, stores and offices to repel all sorts of pests. Rat Repeller are durable, energy efficient and also repel lizards and snakes. Rat Repeller produces inaudible ultrasonic sounds that arepainfulfor rats and pests but harmless to humans. By emitting out intensive sound at high decibel levels, Rat Repeller keeps pests and rat away but does not kill them. Looking for Rat Repeller ?